If you are a parent of a child with Type 1 diabetes, it helps to know there are many others who share your struggle. 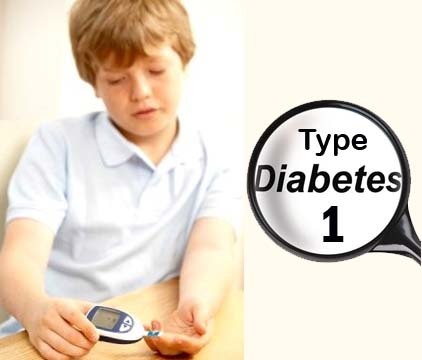 Over 13,000 children in the United States are diagnosed with Type 1 diabetes each year. It is estimated that over 1 million children and adults in the US suffer from diabetes. While diabetes is a chronic condition and there is no cure, it can be managed with proper diet, medications and a healthy lifestyle. Learning about diabetes can help you give your child the best quality of life and good health. When people think of diabetes they know that it is when the body cannot control the blood sugar. There are two different types of diabetes and both of them are the inability to control blood sugar, but they work a little differently. They are known as Type 1 diabetes and Type 2 diabetes. Here is how they are different. Type 1 diabetes. Type 1 diabetes is actually an autoimmune disorder that can come on at any age prior to age 40. The most common ages it is seen in are ages 2 to 3 and 10 to 12. The body's immune system attacks the pancreas and it loses its ability to produce insulin. The cause is partly genetic and also something happens to trigger the immune system reaction, like a virus. After the pancreas becomes unable to produce insulin, Type 1 diabetes need to take insulin shots for the rest of their lives to help control blood sugar. There is no cure and the condition does not go away. Type 2 diabetes. In Type 2 diabetes, the pancreas is still able to produce insulin but either not enough or the body doesn't respond to insulin properly. Some cases of Type 2 diabetes can be controlled with proper diet and exercise. Some cases need oral medication to improve the body's response to insulin and some people go on to need insulin injections. This type of diabetes can be prevented and even reversed with proper diet and healthy lifestyle. If you or your child has any of the symptoms in the top section, make an appointment with a doctor as soon as possible. If there are any symptoms from the second set of severe symptoms you need to go to the emergency room. The doctor will check the blood sugar levels and check the urine for glucose and ketones. There isn't a test for advance screening of Type 1 diabetes and it cannot be prevented. Heart disease. Narrowing of the arteries, heart attack, stroke, chest pain and issues with blood flow. Kidney disease. Inability to filter wastes from the body, kidney failure, end-stage kidney disease. Eye disease. Type 1 diabetes and Type 2 diabetes can increase the risk of glaucoma, blood vessel damage (retinopathy) and cataracts. Foot damage. Nerve damage, reduced blood flow, higher risk of infections, and risk of amputation. Mouth and skin conditions. Fungal infections, bacterial infections. Complications in pregnancy. Diabetes and pregnancy increase the incidence of miscarriage, birth defects and stillbirth in the baby. For pregnant moms, there is a higher risk of diabetic ketoacidosis, eye disease, preeclampsia, and high blood pressure. It also predisposes newborns to higher birth weights and low blood sugar in babies at birth. What Are the Causes & Risk Factors of Type 1 Diabetes? Researchers still do not completely understand what causes Type 1 diabetes. It is believed to be an autoimmune disorder where the body attacks the cells of the pancreas that produce insulin. It is also believed to be genetic or set off by an infection, either bacterial or viral. Genetic predisposition: Type 1 diabetes has a genetic link. Family history of diabetes: If you have Type 1 diabetes in your immediate family (parent, sibling) you are at increased risk for Type 1 diabetes. Age: Type 1 diabetes risk increases in certain age groups. It peaks around ages 4 to 7 and again between the ages of 10 and 14. Where you live: The incidence of Type 1 diabetes is higher in groups of people who live far away from the equator either far north or far south. It is 2 to 3 times more likely to occur in Finland than the United States and 400 times more likely in Venezuela. Kids who have diabetes will have certain challenges. Some are health related and some emotional. It may be hard to have their fingers poked and receive injections several times a day. This may cause a child to become angry or frightened. Teenagers with diabetes may have self-esteem issues and have a hard time accepting they can't just eat anything as their friends. It is also difficult for them to have to check blood sugars and take shots while they are out for fun. This coupled with the hormones of adolescence can make the struggle even harder. If Type 1 diabetes becomes overwhelming for you and your child, know that you aren't alone in this. Talk to your diabetic educator, doctor and nutritionist to sum up with a good plan to manage the condition.